Yes, that's right, I said the GCCF is "ideal," did I stutter? 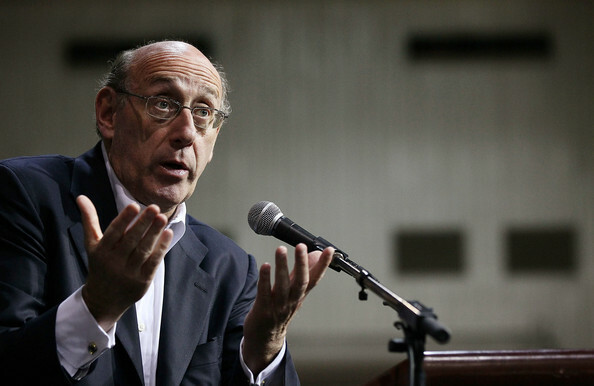 In the past two weeks, Ken Feinberg and the GCCF have made 8100 final payment offers to claimants on the Gulf Coast. So far, only 2.5% of them have been accepted, though claimants have 90 days to decide. That’s about 200 people out of 8100 accepting these offers. Perhaps it might have something to do with the average amount of the offers so far accepted, which is around $12,000 dollars. According to Feinberg’s own methodology, this average of $12,000 dollars per claim is meant to cover all past, present and future damages to a Gulf that is far from recovery. It is meant to cover loss of income, loss of jobs, loss of earnings from a fisherman’s catch and according to British Petroleum, it is supposed to be enough to make things right. When everything you know has been impacted, from your culture and way of life to your employment, from your health, your security and your home to your simple ability to put food on the table for your family, what is $12,000 dollars? Well, according to Feinberg, $12,000 dollars is enough for him to write in a court briefing how his Gulf Coast Claims Facility is the “ideal against which future” operations should be measured. He’s decided to sue Feinberg himself. Brian Donovan, Mavrogiannis’s lawyer states his client is suing Feinberg because the claims operation has done more damage than the BP oil spill itself with the GCCF’s strategy of “delay, deny, defend…This strategy, commonly used by unscrupulous insurance companies, is as follows: Delay payment, starve the claimant, and then offer the economically and emotionally stressed claimant a miniscule percent of all damages to which the claimant is entitled,” Donovan said in a written statement. It probably averages out to about $12,000 dollars. Previous Post What does Wisconsin have to do with the Gulf Coast?